We've been teased and now can indulge in Kodie Shane's latest project titled Young HeartThrob. As the name states, the young artist croons throughout the her debut studio album. 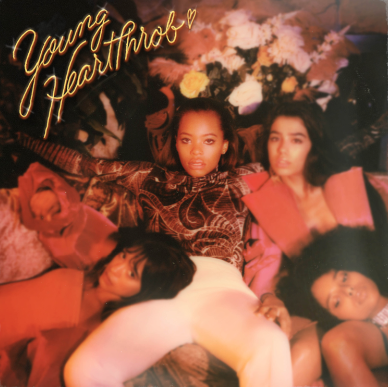 Young HeartThrob’s 15 tracks illuminate a wide creative palette, showcasing a musical evolution for the starlet hat has earned her praise as one of the most exciting new artists today. It dips in and out of moments of pop bliss, hip-hop grit, future-facing alternative ambience and an emotional maturity beyond her 20 years of age, proving that there is nobody quite like her. Bolstering features from TK Kravitz and longtime collaborator Trippie Redd, the album includes production work from frequent collaborator Matty P, as well as names like Wundagirl, Dallas Austin, OZ, Reske, Mark Murrille and more.